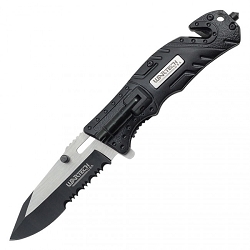 11" Gray Mammoth Stiletto Action Packed Knife By "Tiger USA". 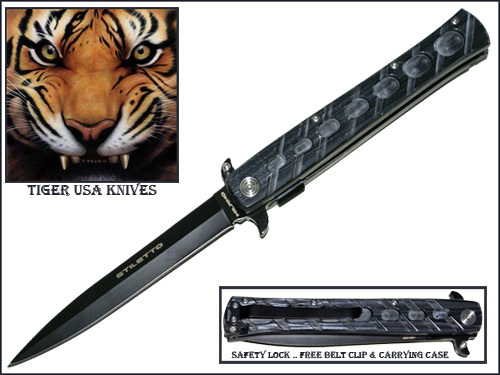 11" All Gray Tiger USA Mammoth Action Packed Stiletto Knife!! LEGAL STILETTO spring assisted action packed knife. 6" Handle with a 5" extremely sharp 1045 surgical steel blade. Free Belt Clip. Free Nylon Case . With functional safety lock.